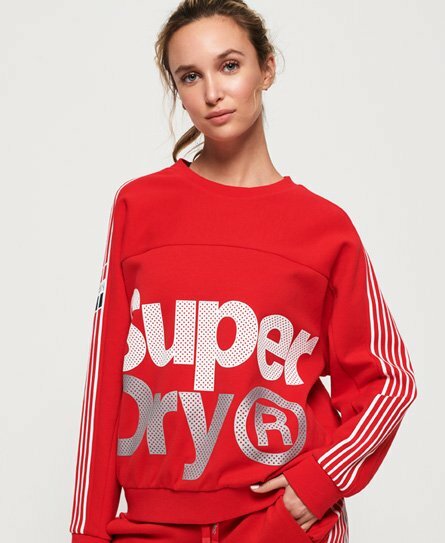 Superdry women’s Athletico crop crew sweatshirt. Invest in this sweatshirt for distraction free training gear, designed with high tech stretch technology and cool, light fabric to have you hitting pb’s everywhere in the gym. It features a crew neckline, sporty stripe detailing, a Superdry logo across the front and back, as well as a Superdry logo on the back shoulder. For the finishing touch, this sweatshirt has been completed with ribbed trims. Team this with a pair of out joggers for a comfortable yet practical gym outfit.